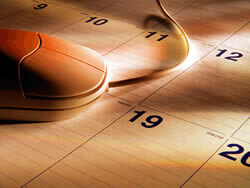 Note: Tax due dates that fall on a non-business day (weekend or legal holiday) are due the following business day. FEDERAL EMPLOYMENT TAX DEPOSITS: Frequency Guidelines – Employment tax deposits (income tax withholding, backup withholding, and FICA) are generally made on a monthly, semi-weekly, or next-banking day basis. While a discussion of this topic is too complex for this website, Lesemann CPA PLLC can provide specific information for the firm’s Business Tax clients. FEDERAL UNEMPLOYMENT TAXES: Frequency Guidelines – Federal unemployment taxes are generally deposited on a quarterly basis. Lesemann CPA PLLC can provide specific information for the firm’s Business Tax clients. STATE TAXES: VARIOUS EMPLOYMENT AND UNEMPLOYMENT TAXES Tax codes vary in each state regarding employment and unemployment tax deposits that are specifically required for state programs. 01/31 – Information Returns – Forms 1099, 1098 et al. 03/15 – Corporations – Income Tax Returns, Federal Forms 1120 and 1120-S et al. 04/15 – Partnerships – Previous year Income Tax Returns, Federal Forms 1065 et al. 04/15 – Trusts and Estates – Previous year Income Tax Returns, Federal Form 1041. Estates seeking a filing extension must have submitted Form 2758 in time for it to be processed by today’s due date. Trusts seeking an extension have until today to file Form 8736 for an automatic 6-month extension. 04/15 – Individuals and Sole Proprietors – Income Tax Returns, Federal Forms 1040, 1040A, 1040EZ et al. 09/15 – Corporations – Last day to file previous Income Tax Returns on automatic 6-month extension, Federal Forms 1120 and 1120-S et al.